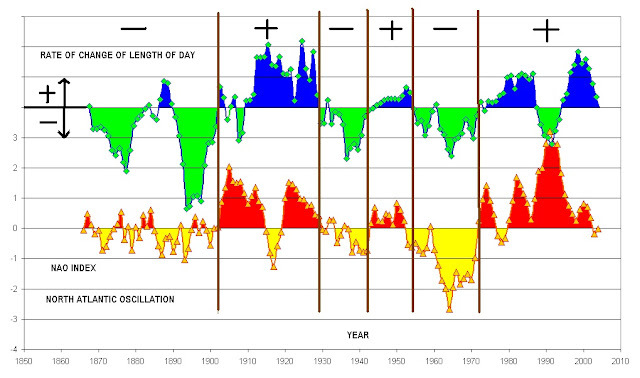 Figure 1: The top graph shows the time rate of change of the Earth’s length of day (LOD) between 1865 and 2005. (Note: The LOD data has been transformed into arbitrary units so that it can be compared to the NAO index). Positive means that LOD of day is increasing compared to its standard value of 86400 seconds and that Earth is slowing down. The bottom graph shows the North Atlantic Oscillation Index between 1864 and 2006. The data points that are plotted in both graphs have been obtained by taking a five year running mean of the raw data.